Bach flower essences were developed by Edward Bach, MD in the 1930’s, when he noticed that many of his patients’ complaints and conditions seemed to be linked to their state of mind. This is what I saw too when I first started working as a nutritionist. State of mind, attitudes, beliefs and emotions can directly impact the body and are the underlying cause of many health issues. Dr. Bach turned to nature collecting plants, flowers, bushes and trees and used them to create a set of 38 Bach flower essences (plus a combination essence known as Rescue Remedy) that correspond to specific emotional and mental states. Each remedy contains the energetic imprint or vibration of the original plant. Today, these essences are being successfully used and have been studied for their ability to help with a number of issues including ADHD and depression. In fact, one study in Catalonia found that 87.4% of patients who received Bach flower essences reported good to very good results. The conclusion was that flower essences appear to be a good alternative to psycho-pharmaceuticals. Amazing results! A study conducted at the Penn State Hershey Medical Center found that Bach Flower Essences effectively managed the symptoms of ADHD; reducing both inattention and hyperactivity as measured by the Childhood Attention Profile. The study also found a near doubling of improvement in global functioning over control subjects. Essences used for the trial included Rescue Remedy, Cherry Plum, Vervain, Crab Apple and Walnut – all are available at your local health store or online. Bach flowers have also been shown to help people with depression. Patients in Cuba were treated with flower essences for four months and showed significant improvements – in fact those who were initially ‘moderately depressed’, were in the ‘normal’ range by the end of the third month! What’s even more astounding is that Bach flowers also help with physical pain. In one clinical trial, Bach flower essence cream was used on patients with mild to moderate carpal tunnel, and significant improvements in pain and tingling were observed. 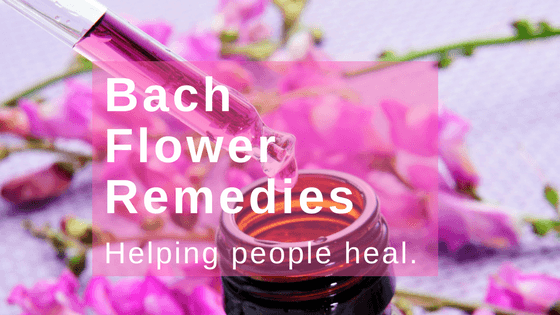 Another paper reviewed case studies and noted that 46% of people with pain felt treatment with Bach flower essences provided relief – truly incredible. The paper also reported that 88% of subjects also stated their emotional issues significantly improved while being treated with Bach flowers. Just add a few drops to your favorite beverage several times a day and you are good to go! Or, put a few drops directly under your tongue. You can also combine several essences to create a customized bottle and address several issues at one time. Some flower essences such as rescue remedy are also available as a cream, gum, candy or spray; making them very simple to administer, especially for kids. There is even a formula for nervous cats, dogs and other pets! I have been using Bach Flowers and other energy healing modalities in my practice for years and have witnessed shifts in people’s emotional and physical states. It’s an easy to use modality that can help children, adults and even pets. Thank you for this. I see these at Whole Foods and was never quite sure what to do with them. I’m giving this a try! They are easy to use and very impactful. Enjoy!